SILLY SONGS and SATIRE: Nessun Dorma: JAMES TAYLOR sings about Puccini's opera "TURANDOT"
Nessun Dorma: JAMES TAYLOR sings about Puccini's opera "TURANDOT"
PASTICHE with PARODY-LYRICS, inspired by the author attending a James Taylor concert at the North Charleston Coliseum, May 15, 2018. ORIGINAL SONG#1(music): "Mexico", James Taylor 1975. 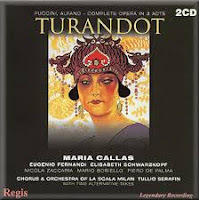 ORIGINAL SONG#2(lyrics): "Nessun Dorma", aria from the 3rd act of "Turandot" composed by Giacomo Puccini, first performed after his death in 1926. Translation of the libretto can be found on the Wikipedia link. PARODY COMPOSED: Giorgio Coniglio, September 2015, updated 2018. WORDPLAY LINK: On a different topic, you might enjoy the current blogpost on "EDIFYING NONSENSE", titled "Fun with Impeachment". Singing along with the famous arias brings the crowd out to the opera. You don’t have to know much Italian to understand the libretto here however; ‘ciao’, pronounced like ‘chow’, means ‘so long’. As the mythical princess-character was reinvented by a French author, her name is usually pronounced French-style with the final ‘t’ silent. To download – credit-card and name – Baby James. Said that before he said ‘ciao’. ‘Bout a Princess of China who detested all males. Empathize with hero who’s beheaded if fails. Rang the gong, and her three riddles I got. I’ll die if she finds out my name. Not even the Princess who’s a sadistic creep. Secret hid within me; if divulged, price is steep. If nobody finds out my name. Vanish, o night! set stars, give me hope. The folks back home must think I’m smoking some dope. She’ll get a long kiss, end the silence, name on her lips. Must be quite a beauty, but I don’t really know. I guess I’ll have to go now. * Giacomo Puccini, composer, died in 1924 before he had quite completed the opera “Turandot”. 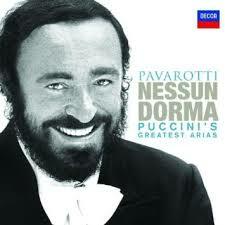 The aria “Nessun Dorma” in the third act is the best-known piece of music in this work. 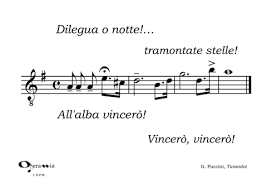 ** Vincerò (Italian) I will win; repeated x 3 as last words of the famous aria. A reposition? No, it is opera. Lost sopranos; sonar post, Sol.